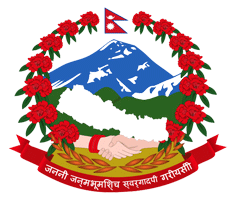 In Nepal, with the increase demand of blood & blood products ,Blood Transfusion Service (BTS) was initiated in 1964 (B.S. 2021). National Blood Transfusion Policy was developed in 1993 (B.S. 2050) to organize the ongoing activities of BTS, then the policy was revised in 2006 with the formation of National Steering Committee (NSC) & National Technical Advisory Committee (NTAC) and recently revised in 2014. Blood Transfusion Service (BTS) in Nepal initiated its activities in a nationally coordinated way as National Blood Program under guiding principle of National Blood Transfusion Policy. National Bureau for Blood Transfusion Service (NBBTS) based at National Public Health Laboratory (NPHL) is established as a focal point for blood safety on behalf of Ministry of Health (MoH) to regulate Blood Transfusion Service in the country, to advocate on Policy, Guidelines, Protocols & SOPs. 1. Development National guidelines/protocols & standards. 2. Establishment of new BTSCs, now the available BTSCs is 105 in 72 districts. 3. Strengthening BTSC with the provision of component preparation set to one of BTSC in a year. 4. Refining the quality of BTSC with the provision of equipments along with the related training. 5. Initiated and continuation of National External Quality Assurance Scheme (NEQAS) in Transfusion Transmitted Infections (TTIs) serology for BTSCs. 6. Organization of various blood transfusion/safety related training, motivational program, blood donation program. 7. Initiation of licensing of BTSCs.